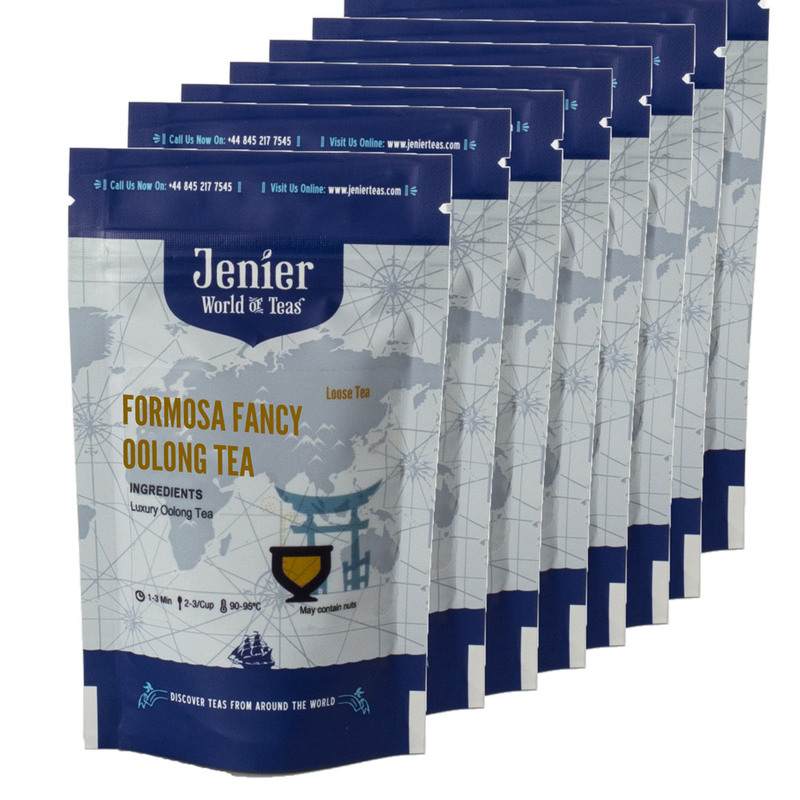 Jenier mini packs are branded small resealable stand up pouches and are filled with either loose leaf or Jenier pyramid teabags. The amount of loose leaf tea we can fit inside the pouch depends on the tea being packed, its leaf size and volume but on average, there would be enough tea to make 6 - 8 cups of tea in loose leaf form and for pyramids, we pack 4 into each mini pack. Each tea category (e.g. Black Tea, Estate Tea, Green Teas etc.) is represented by an illustrative motif shown throughout the all the Jenier range of packaging. 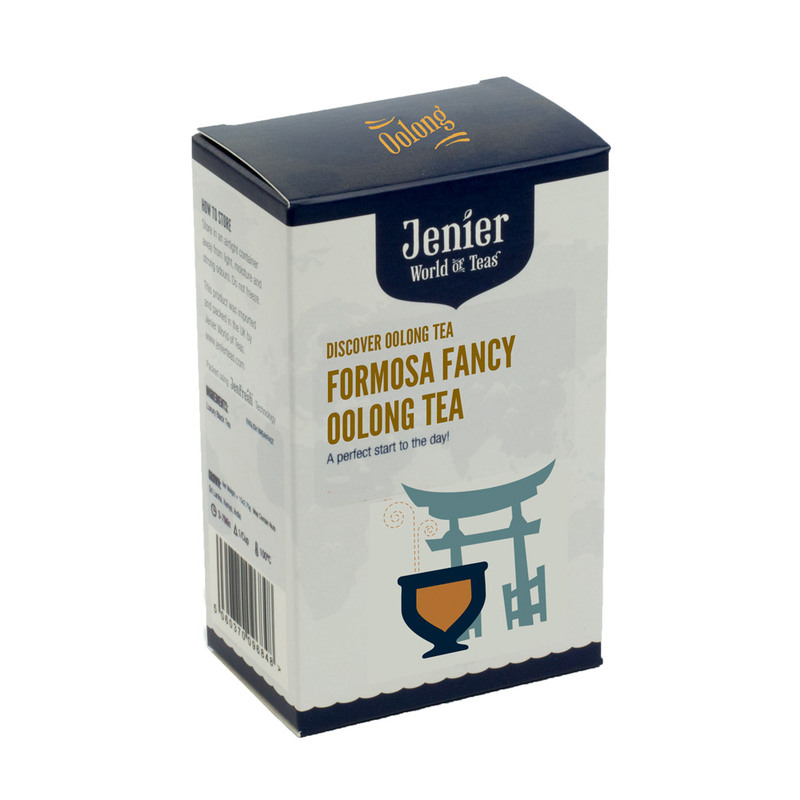 For both loose leaf teas and pyramid teabag retail products we use a Jenier Carton. Each tea category is represented by its illustrative motif for easy recognition and is shown on the front of the carton. Inside each carton is a specially designed Jenier branded silver pouch that, using our unique JenFresh technology, is nitrogen flushed and vacuum sealed. The purpose of this process is to maintain freshness, provide tamper-proof evident packaging and reduce shipping costs by reducing the amount of air surrounding the tea - so volumetric weights are based on shipping product and not air. Not only is this a much more cost effective way of shipping tea, it also reduces the shipment's carbon footprint which of course is good for the environment. In addition to the silver vacuum sealed pouch is a foil, wire tie that can be used to reseal the pouch once opened. The cartons are sold in units of 6 and packed in a outer carton. All cartons are bar-coded. 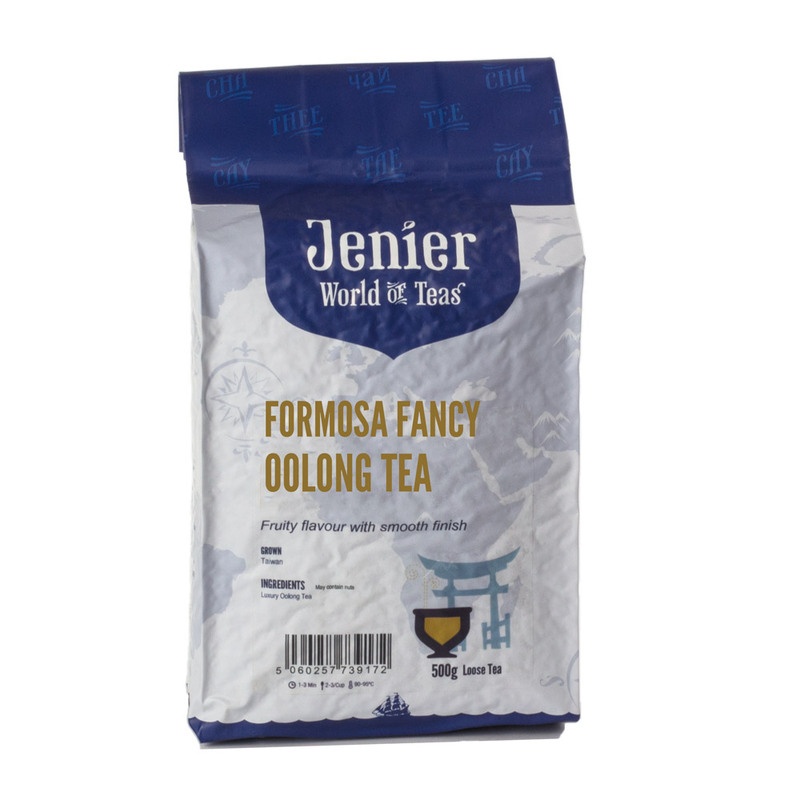 All Jenier food service packs are specially designed to protect the tea they contain. Our unique packaging process removes air and vacuum seals the pack keeping the tea inside in peak condition. By-products of this process means shelf life is considerably extended, the vacuum pack provides tamper evident packaging, shipping costs and carbon foot prints are reduced. Food Service Packs are sold as singles or in multiples depending on weight required. These rectangular (2Kg, 4Kg or 1000 pyramids) airtight resealable tubs are ideal for storing your faster moving teas and making a cash saving too. We understand that whilst buying in bulk is a great way to save, you still need to be able to protect your tea and keep it as fresh as possible. Our solution is to provide both. 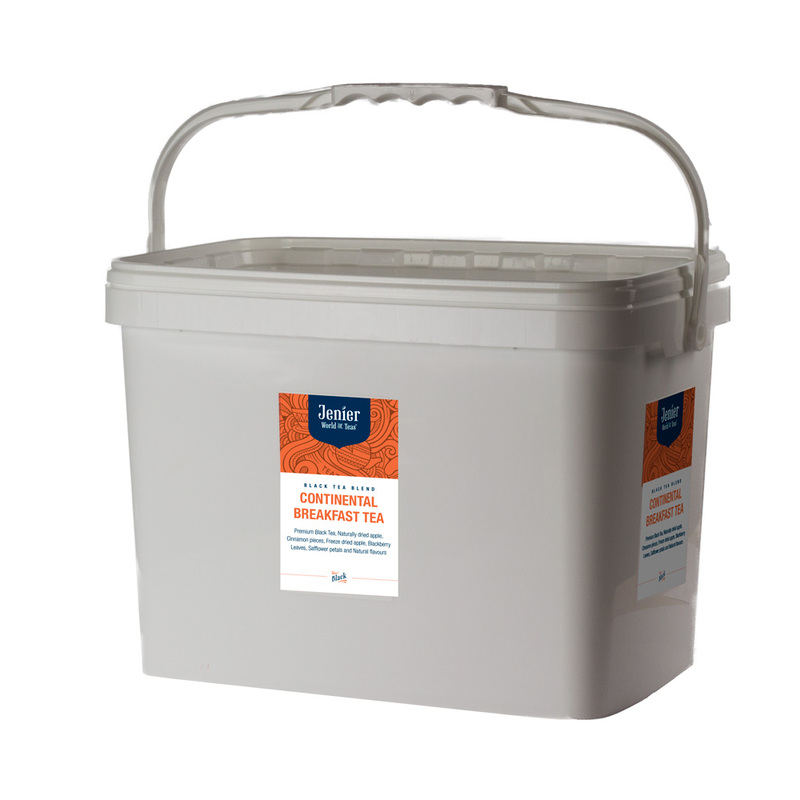 Bulk tea in a completely resealable airtight container with tamper evident seal. The tubs are made specifically to food grade so they're clean, safe, stack-able and of course recyclable too! These food safe pots are ideal for transporting and storing matcha. We have two sizes, one for food service (200g) sold individually and a smaller retail pot (40g), sold in units of 6. Each pot contains matcha packed inside a food safe cellophane sealed pouch, which is then secured with a tamper evident, airtight, resealable lid. 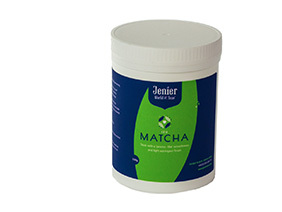 Shelf Life 2 Years but matcha enjoyed at it's best up to 3 months once opened.